What Type Of Loss Was Suffered? If you've suffered an injury or illness as the result of someone else's negligence, then you and your loved ones are likely to be facing a difficult time. Depending on the extent of your injury, you may be required to make significant lifestyle changes, which can put you under a lot of emotional and financial stress. To help you cope, you might be able to claim compensation. There are many things to consider before making a personal injury claim, but in the end it boils down to this: did you, or a member of your family, suffer an accident or personal injury in the last three years that was caused by someone else? If the answer is yes, then Thompsons may be able to help you. The first thing you need to do is to find out whether your case is strong enough to make a claim. The best way to do this is to speak to an expert. Our lawyers have all the necessary experience and knowledge to advise you on this matter. Give us a call and our dedicated and caring accident compensation lawyers will chat things through with you. For expert guidance you can put your trust in Thompsons. The first step of any journey is often the hardest, and it's normal to have anxiety and worry over your decision to make a claim. But we're certain our specialist solicitors can put your mind at ease. 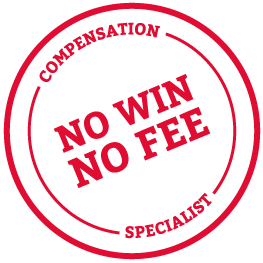 We strive to keep our costs down to the minimum and we can offer a No Win No Fee package in the majority of cases for those who decide to take things further. We have helped many thousands of clients since our beginnings as a firm, and this is reflected in our track record. We have won multiple awards, our specialist lawyers have a success rate of over 90%, and we recover over £1 million per week on behalf of our clients.